C Products Defense, Inc. (CPD®) was established in 2011 in Bradenton, Florida. CPD® purchased all new equipment, created new tooling and molds and one year later started producing in Florida, the first CPD® magazines. In 2013, CPD® became an ISO-9001-2008 company, the hallmark of quality methods and execution in manufacturing. CPD® has maintained these standards each year thereafter and is now ISO-9001-2015. Our biggest success for CPD® is not only manufacturing the most dependable magazines in the World, but also the dedicated team we put together to accomplish our goals. We’ve forged strong relationships with our customers, suppliers and others in the firearms industry. CPD® is already leading the industry in innovation, creativity and quality. CPD® currently supplies most U.S. OEM firearms manufacturers..
Today, C Products Defense manufactures Duramag, the most dependable magazines in the world. In our eighth year, Duramag and C Products Defense are leading the industry in innovation, creativity and quality. Please visit Duramag.com for more information. DURAMAG SPEED™ magazine bodies are constructed of 6061-T6 aluminum and are type-III anodized to the mil-spec. This battle-proven magazine is lightweight, durable and feeds every time. DURAMAG SPEED™ mags have been the magazine of choice for OEM, Law Enforcement and Military Units throughout the world and are safe for extended storage while loaded. DURAMAG™ will not fl ex or swell like polymer. Available in 5rd, 10rd, 15rd, 20rd, and 30rd capacities and a wide range of colors for quick specialty load identifi cation or to match your next build. 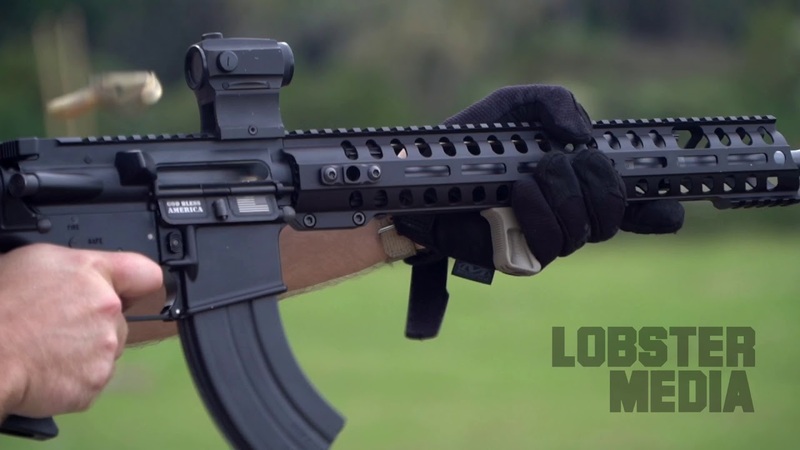 Need a 7.62×39 AR magazine that performs flawlessly? Our engineers made a crucial discovery that solved the challenge of reliable feeding of Soviet cartridges in AR platforms. Make the switch to DuraMag and shoot worry free with every pull of the trigger. Our 7.62x39mm AR pattern magazines are the only ones that work perfectly. Available in 5rd, 10rd, 20rd, 28rd and 30rd. The 5.56/.223 DuraMag SS is designed for serious shooters who require the most out of their magazines. Advanced interior and exterior geometries ensure ultimate reliability and feeding. Constructed from premium 410 Stainless Steel for maximum durability. When performance and durability is paramount, make the switch to DuraMag SS and never look back. Available in 5rd, 10rd and 30rd capacities. Hard-hitting calibers demand serious magazines. The DuraMag SS can withstand the test of time with its all stainless steel body and is the preferred choice for Military Units across the world. Available in 5rd, 10rd and 20rd capacities. The DURAMAG SS standard capacity 9mm mags are now available for some of the world’s most popular handguns. Feed your Beretta M9/92 Series from the world’s finest magazines. DURAMAG has you covered if you are seeking flawless feeding and relentless reliability.